Dog’s, like humans can get bored easily. They need to be kept busy and healthy both mentally and physically. There are a huge number of sports that dog’s can take part in that make the most of their natural doggy instincts and that will produce for you, a happy and well rounded pet. Here is a list of some of the sports you can find that your dog will love. Puppies always benefit from basic puppy obedience classes as early as possible, but there are also a range of obedience competitions that dogs of all ages and breeds can take part in. Your dog will master a wonderful range of commands that win them points which can be gained to earn a formal title such as a Utility dog, Companion or Disability dog. Apart from this, you will enjoy a much better behaved dog in your home and out and about. 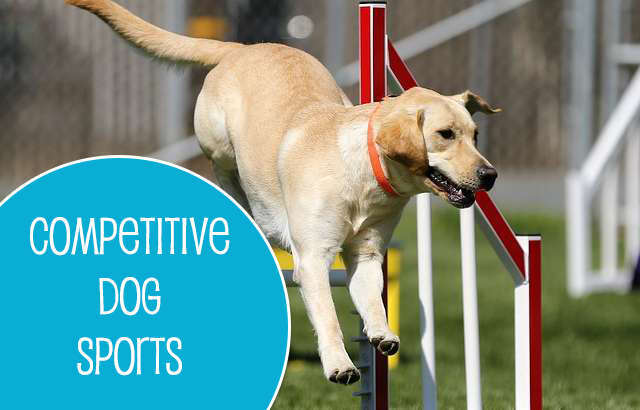 Dog’s love exercise and challenges and agility is a great sport that requires your dog to complete a complicated obstacle course with you alongside. They are timed and judged on their accuracy whilst completing obstacles such as tunnels, weave poles, pyramids, see-saws and hurdles. 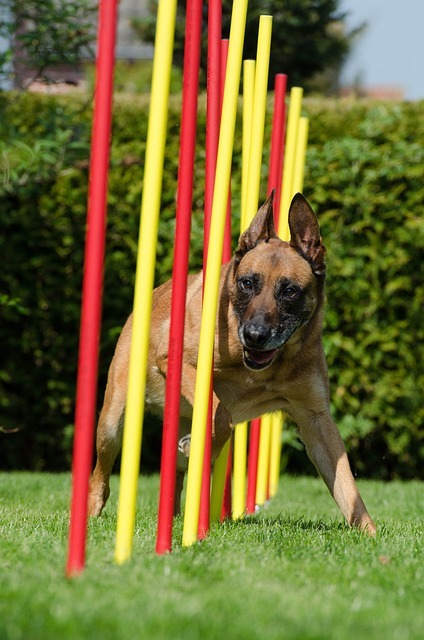 All breeds can take part in agility and will guarantee that your dog stays in top form both mentally and physically. Participating in an Earth dog trial, means dogs are expected to go through a man-made, underground tunnel which mimics a burrow of a fox or other digging animal. Once underground, the dog should find the scent of its prey which is usually safely protected within a box and “work” the animal by barking, scratching, or otherwise annoying it. Dogs compete at different levels of difficulty and experience and breeds that do particularly well at Earth dog trials include dachshunds, Jack Russell terriers, West Highland terriers, Cairn terriers, border terriers, Norwich terriers, Norfolk terriers, Welsh terriers, smooth and wire haired fox terriers, and miniature schnauzers. Most dog’s love to run and catch balls. If your dog is one of them they will certainly love flyball. This is a canine relay race where dogs are divided into teams of four that must jump over a series of hurdles to retrieve a tennis ball released from a box when the dog steps on a pad. Once one dog retrieves the ball and returns to the starting gate, the next dog is released to complete the course. Any type of dog breed can participate, but some popular breeds include border collies, Jack Russell terriers, Australian shepherds, and whippets, well known for their speed. 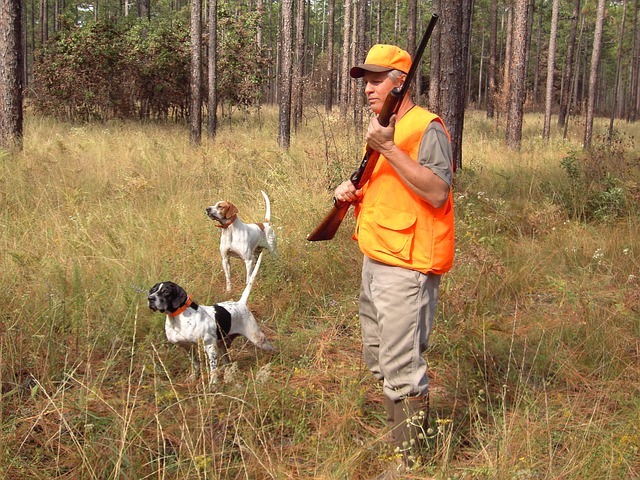 Field trials are designed to test a dog’s hunting skills. Generally broken into different classes for pointers, flushers, and retrievers, field trials are an excellent way to keep sporting breeds active and challenged. For those of you who use your dog for hunting, this is a great way to hone their skills. Breeds that compete at field trials include Labrador retrievers, golden retrievers, English, Irish, and Gordon setters, Brittany or springer spaniels, flat-coated retrievers, Weimaraners, German shorthaired pointers, Hungarian vizslas and Irish water spaniels. Dock diving is an exciting aquatic sport which first started in 1997. Dogs compete to see which one can jump the farthest into a pool of water from an elevated platform or dock, much like human Olympic divers. 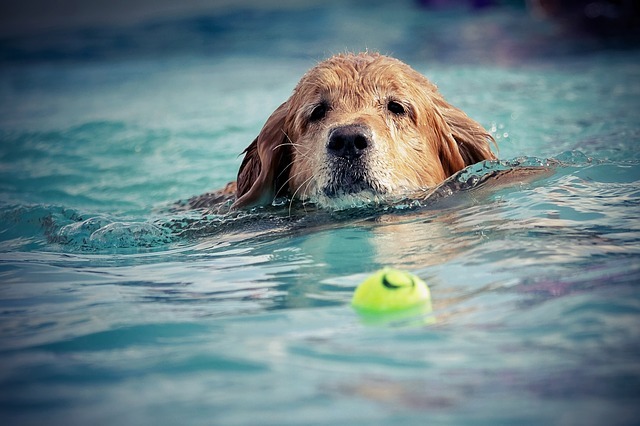 This is a very popular sport and all dog breeds are welcome to participate, but the larger breeds such as Labrador retrievers, Chesapeake Bay retrievers, golden retrievers, and Belgian Malinois are often the diving champs. Sheepdogs, like their name suggest, like herding sheep and so for them there’s no greater challenge than moving a small flock of sheep through an obstacle course at a sheepdog trial and into a small paddock. Modelled on real-life farm work, each dog is required to move sheep around obstacles, over bridges, and into a pen, under the direction of the Farmer. Advanced trials also require the dogs to separate the flock of sheep into smaller groups; this is called “shedding” and is one of the most dificult things a sheepdog is required to do. If you own a herding breed such as a Border Collie, Australian shepherd, rough collie, corgi, or bearded collie, Sheepdog trials is an ideal way to give your dog lots of exercise and make the most of its natural herding instincts. Disc dog competitions are a fun way to challenge handler and dog to be the best at throwing and catching flying discs. The competition is generally divided into toss-and-fetch competitions where competitors have 1 minute to throw as many discs as possible over further and further distances, where points are awarded for accuracy and the amount of catches the dog can make and freestyle competitions where the handler and dog work together, alongside music, to create a choreographed routine where agility, fast catches and style make for an exciting show. Any dog breed can participate as long as it can move and react quickly and enjoys catching discs. A terrier trial is basically a steeplechase competition for terriers. The dogs are encouraged to chase a piece of fur over an obstacle course, and the first dog to reach the target is the winner. Jack Russell terriers are the most popular breed for these trials and it’s a great way to keep these high energy dogs happy and healthy. In lure coursing, dogs are encouraged to chase a mechanical lure over a distance of up to 1,000 yards. The mechanical lure changes direction to simulate live prey such as a rabbit or hare. Dogs run in groups of one or two, most often broken down by breed and are judged on speed, agility, enthusiasm, and focus on the lure. Lure coursing is an excellent way to promote your sight hound’s natural instincts.